PARENTS of disabled children and young people are being urged to make music making more accessible for everyone. And if you take part in an online survey there’s a chance you could win £100 for your efforts. The current National Plan for Music Education aims for “equality of opportunity for all pupils” – but there are widespread concerns that we’ve a long way to go to achieve this goal. Recent statistics published by the Musician’s Union show that increasingly children in state schools and particularly those from low income families are unable to access the opportunities available to their more affluent peers. More worrying still, there is no national data available that describe the experiences and particular barriers faced by disabled children and young people with regard to participation in music. 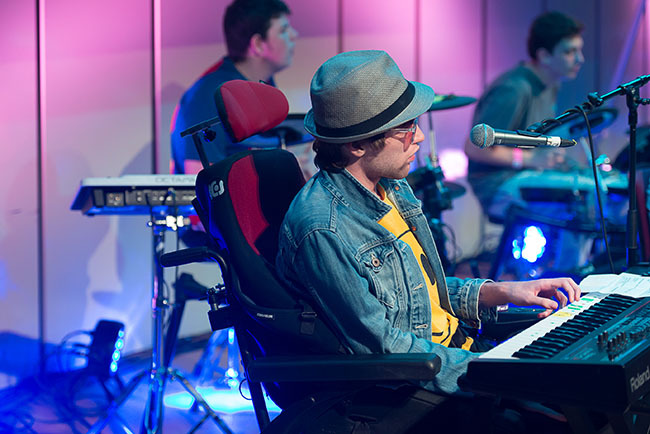 Now a consortium of Arts Council funded organisations is calling on parents – and everyone connected with music in the UK – to help them gather data on the barriers facing disabled people with regard to access and participation in music. Mary-Alice Stack, chief executive of Creative United, one of the partners involved in the survey, said: “We are determined to ensure that disabled people of all ages are given every opportunity to participate fully in music, and that both the music education and retail sectors are better equipped and prepared to respond to the access needs of disabled customers. The Take It Away online survey, organised by Creative United, Drake Music, Open Up Music, The OHMI Trust and Youth Music, will remain open until 15 January.